One of the main obstacles to previous peace-making efforts in the Palestinian-Israeli conflict has been the issue of dividing Jerusalem. The Palestinian position views eastern Jerusalem as part of the West Bank, which it considers Arab territory that Israel is illegally occupying. While Palestinians reject Israeli sovereignty over any part of Jerusalem, they claim eastern Jerusalem – with holy sites to three religions – as the capital of their future state. They view the permanent status of western Jerusalem to be subject to final negotiations. The Israeli position considers Jerusalem – both western and eastern– the country's eternal, undivided capital based on its historical, religious and political claims to the holy city. Since Israel's reunification of Jerusalem in 1967, following 19 years of division during which Israeli Jews were excluded from the eastern part, the government through successive administrations has vowed never to re-divide the city again. In 1980, the Israeli Knesset passed a Basic Law declaring reunified Jerusalem the eternal capital of Israel, while providing for freedom of access to each religion's holy sites. There is no doubt that these competing demands and claims will be difficult to reconcile. It is made all the more difficult by a media that errs or misleads on the topic. Do Jews have a right to settle in eastern Jerusalem? What are the legal issues regarding sovereignty over eastern Jerusalem'? Is Israel's annexation of eastern Jerusalem legitimate? The media often blurs these distinct questions together as one, answered with the facile and misleading conclusion that Israel is guilty of breaking international law. But without looking at the complex historic and legal considerations that underlie each of these questions, the media prevents news consumers from understanding one of the primary issues in the ongoing Arab-Israeli conflict. This backgrounder addresses some of the common media misrepresentations regarding Jerusalem. 1) Is east Jerusalem Arab territory which Jews have been encroaching upon since its 1967 capture by Israel? 2) Is the construction of Jewish homes or the establishment of Jewish neighborhoods in east Jerusalem illegal under international law? 3) Are the occupation and annexation of east Jerusalem by Israel illegal under international law, constituting a theft of "Palestinian land?" 4) Are Arabs being ethnically cleansed from east Jerusalem? Are demolitions of Arab dwellings by Jerusalem authorities part of a master plan to drive Arab residents from east Jerusalem and replace them with Jewish residents? 5) Do Israeli authorities selectively deny building permits to Arabs, forcing them to build illegally, while freely allowing Jews to build in Jerusalem? 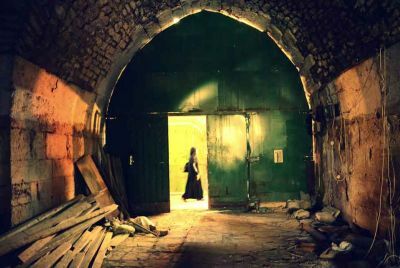 6) Are archeological studies that uncover Jewish history in east Jerusalem sinister, invalid, and tainted by a right-wing political agenda? Has archeology become "a weapon in the fight over territory?" 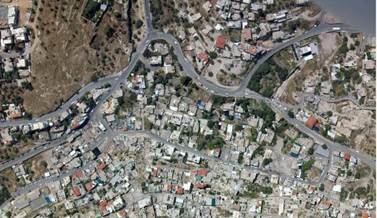 7) Is the plan by Jerusalem authorities to raze Arab homes and create "The King's Garden" archeological park in the al-Bustan area of Silwan simply a pretext for displacing Arabs from eastern Jerusalem? This is what much of the media suggests is the case. This is not, however, the case. The area was only exclusively Arab for the 19 year-period between 1948 and 1967 in which Jordan occupied eastern Jerusalem. Jewish presence and sovereignty in east Jerusalem actually predated the Arab presence there, and has been nearly continuous. For over three millennia, since King David established Jerusalem as the capital of his kingdom in 1004 BCE, there has been an almost continuous Jewish presence in Jerusalem, the holiest city in Judaism. And for most of that time it was concentrated in east Jerusalem, where Judaism's holy sites lie. Since the mid-1800's, Jews have constituted the largest single group of residents in the city. 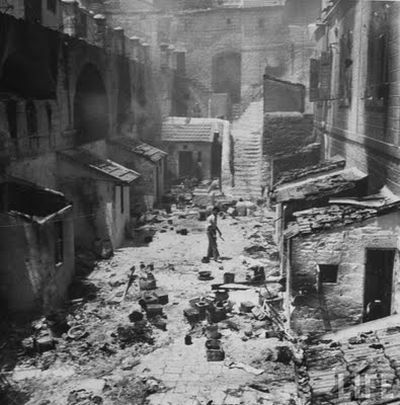 According to historical and cultural geographer Professor Yehoshua Ben-Arieh, "In the second half of the nineteenth century and at the end of that century, Jews comprised the majority of the population of the Old City..."1 Historian Martin Gilbert reports that 6,000 Jews resided in Jerusalem in 1838, compared to 5,000 Muslims and 3,000 Christians.2 Encyclopaedia Britannica of 1853 "assessed the Jewish population of Jerusalem in 1844 at 7,120, making them the biggest single religious group in the city. 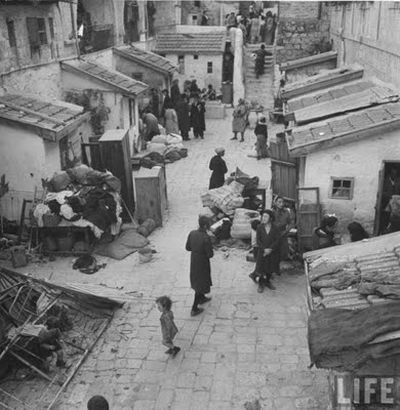 "3 And others 4 estimated the number of Jewish residents of Jerusalem at the time as even higher. 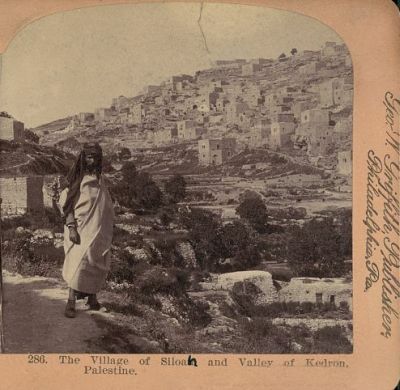 Until about 1860, those residents lived almost exclusively in east Jerusalem. 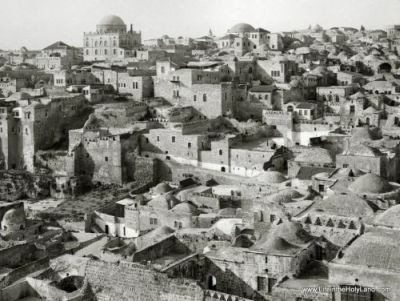 Between 1860 and 1948, when building expanded out to western Jerusalem, Jews and Arabs lived in both east and west Jerusalem. 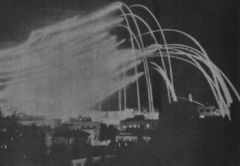 Jerusalem was divided for the first time as a result of the 1948 war, in which neighboring Arab nations invaded the new State of Israel and attempted to capture the entire city, both east and west. Transjordan's Arab Legion shelled and besieged the city, cutting off its Jewish residents from the coastal plain. 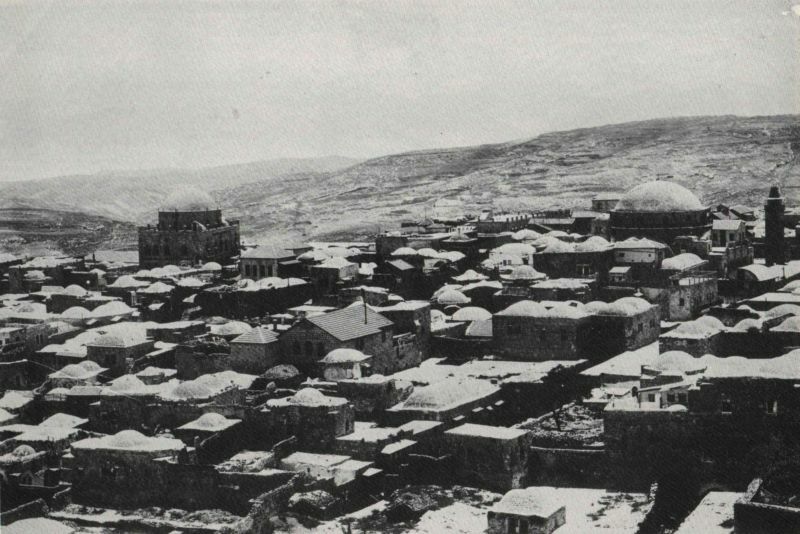 The Jordanian forces seized east Jerusalem, expelled its Jewish residents, destroyed Jewish property and religious sites, and made it a Judenrein (Jew free) area, while Jews continued to live in west Jerusalem. 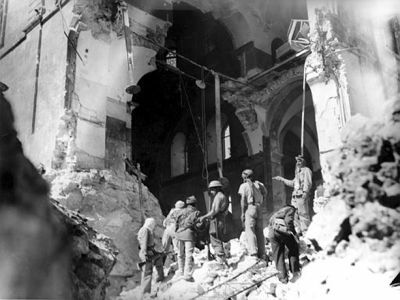 Soldiers of the Jordanian Arab Legion walk through the ruins of the Tiferet Yisrael Synagogue, May 21, 1948. 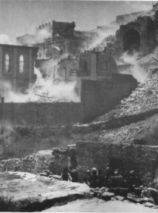 This synagogue was one of 58 in the Jewish Quarter destroyed by Jordan's Arab Legion, their contents looted and desecrated. 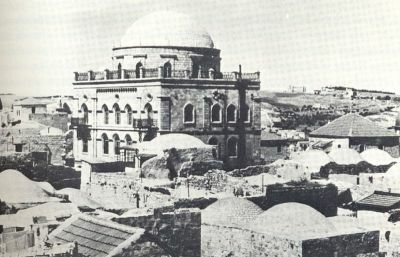 Northern façade of Hurva Synagogue in Jewish Quarter, circa 1930. 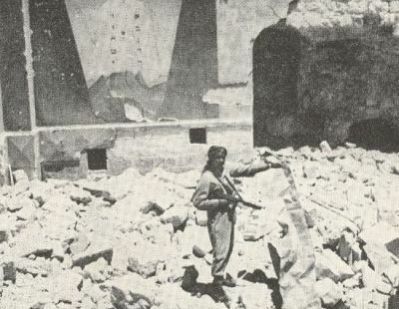 1948: A Jordanian soldier posing in the ruins of the Hurva Synagogue, (John Roy Carlson, Cairo to Damascus, 1951) The Hurva was one of 58 synagogues This in the Jewish Quarter destroyed by Jordan's Arab Legion, their contents looted and desecrated. 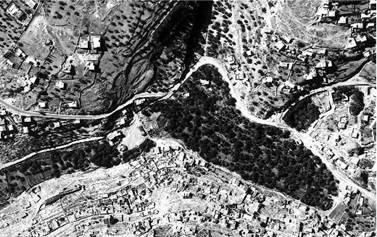 In 1967 Jordan initiated hostilities against Israel, which engaged in self-defensive battles. By the end of the fighting, Israel had regained control of its traditional capital and holy sites in east Jerusalem. 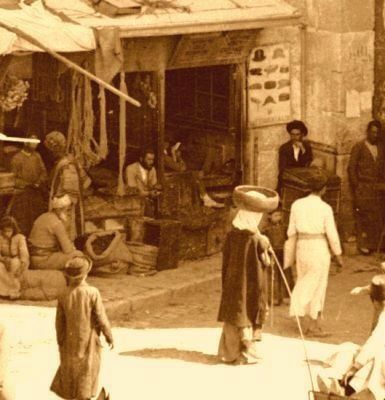 Jews began to move back there, and the eastern part of Jerusalem again became home to Jews, as well as Arabs. The Israeli government annexed east Jerusalem, vowing never to re-divide Jerusalem again and allowing freedom of worship at the holy sites. For more, read CAMERA's "Backgrounder: History of Jerusalem"
Journalists routinely convey this as fact. 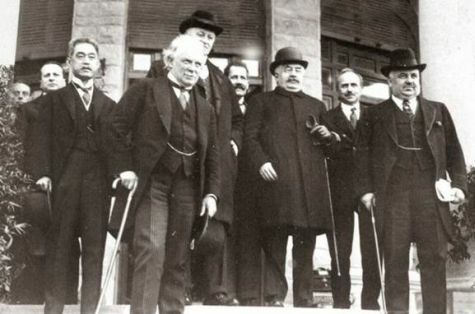 San Remo, April 25, 1920: British Prime Minister David Lloyd George, French Prime Minister Alexandre Millerand, Italian Premier Francesco Nitti and Japan Ambassador Keishirô Matsui passed a resolution converting the idea of reconstituting a Jewish national home in historic Israel, as envisioned by the Balfour Declaration, into binding international law. 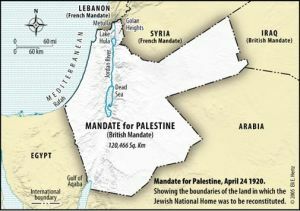 Top map: Original territory assigned to the Palestine Mandate for a Jewish national home (1920). 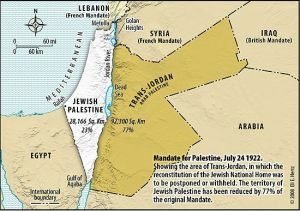 Bottom map: Final territory assigned to the Mandate for settlement by Jews (1922). Even after 77% of the original land was given to Transjordan, Jews maintained the right to freely settle in the remainder -- including the West Bank and all of Jerusalem. 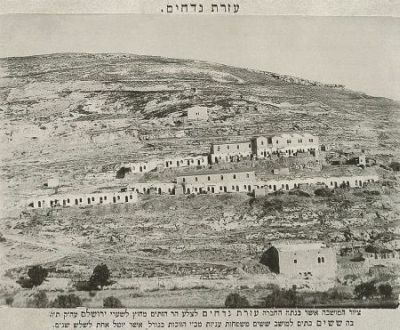 According to Article 6 of the Mandate, "close settlement by Jews on the land, including State lands not required for public use" was to be encouraged. Article 80 of the U.N. Charter preserved this Jewish right to settlement by specifying that nothing in the U.N. Charter's chapter on the administration of Mandate territory shall be construed " to alter in any manner" the rights of people and the terms of "existing international instruments" (for example, the Mandate). Palestinian and European organizations, activists and media outlets promote this concept. But these claims are rooted in politics rather than in any definitive international law. In fact, there are differing opinions regarding the status of Jerusalem under international law, including those of prominent jurists and legal scholars who argue that Israel's claim to sovereignty over a unified Jerusalem has the most legitimacy. Note: The corpus separatum proposal included Bethlehem, Beit Jala and Beit Sahur as part of the area to be internationalized. 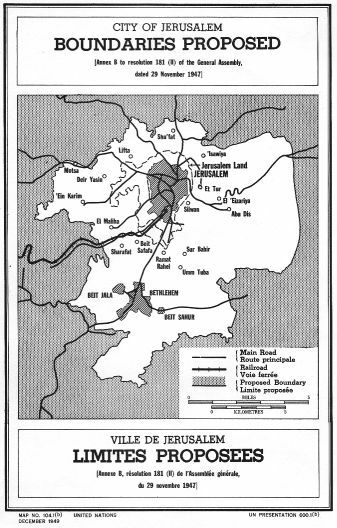 Resolution 181, which recommended a partition plan for territories held under the British mandate, called for the internationalization of Jerusalem for 10 years, following which a referendum was to determine its status.10 While this plan was reluctantly accepted by the representatives of the Jewish community in the area at the time, it was rejected by the Arab leaders who attempted to forcefully rid the region of the newly declared state of Israel in an unlawful aggressive conquest. UN General Assembly Resolution 194  called for the establishment of a Conciliation Commission to facilitate peace between Israel and Arab states.11 Among the proposals of the resolution was that Jerusalem and Bethlehem be placed under UN control. But this resolution too was rejected by Arab leaders. In addition, the U.N. made no effort to renew resolutions regarding Jerusalem as a corpus separatum during all the years of Jordan's occupation of east Jerusalem or thereafter, abandoning the recommendation to internationalize Jerusalem without it ever having entered legal operation. And while the EU, in 1999, clung to the idea of an internationalized Jerusalem, "reaffirm[ing] its known position concerning the specific status of Jerusalem as a corpus separatum,"14 it has since ceased its advocacy to internationalize the city. Jurists and scholars of international law who maintain that Israel has the best legal claim to Jerusalem indicate that Israel legitimately filled the sovereignty vacuum left after Britain's 1948 withdrawal when unlawful Arab armed aggression effectively invalidated the partition proposals. 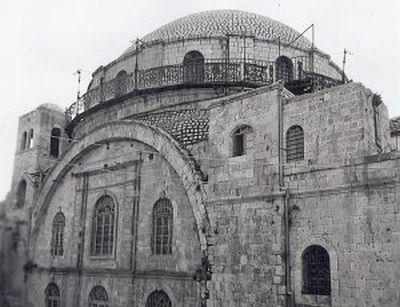 This sovereignty vaccuum was filled by Israel in western Jerusalem when it came under Israel's control in 1948, and in eastern Jerusalem in 1967 when Israel replaced Jordanian occupation as the result of self-defensive actions. Because Israel's control of east Jerusalem came about via self-defense and not aggressive actions, it therefore constituted a lawful occupation, with no other claimant state possessing a legitimate title. 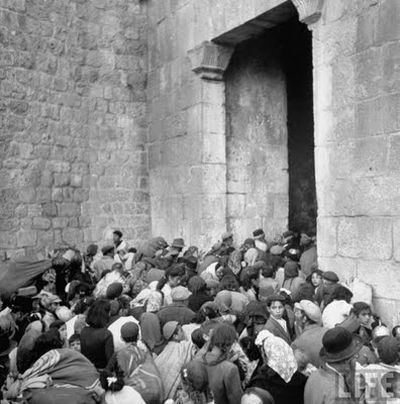 As Schwebel explains, "Jordan's seizure [in 1948] and subsequent annexation of the West Bank and the old city of Jerusalem were unlawful,"17 arising as they did from an aggressive act. Jordan therefore had no valid title to east Jerusalem. When Jordanian forces attacked Jerusalem in 1967, Israeli forces, acting in self defense, repelled Jordanian forces from territory Jordan was illegitimately occupying. 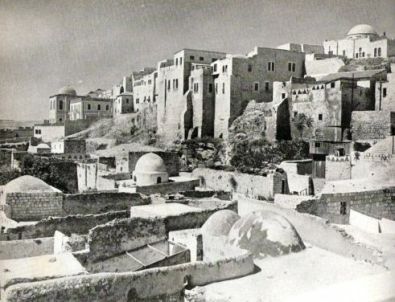 Schwebel maintains that in comparison to Jordan, "Israeli title in old (east) Jerusalem is superior." And in comparison to the UN, which never asserted sovereignty over Jerusalem and allowed its recommendation of a corpus separatum to lapse and die, he sees Israel's claim to Jerusalem as similarly superior. 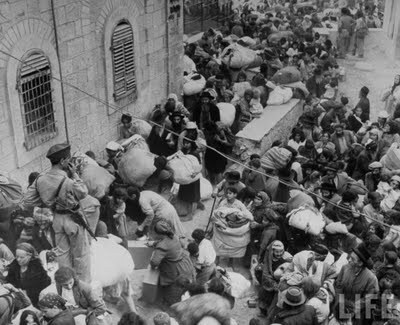 1948Jordan's unlawfully seizes and annexes east Jerusalem. Jordan blows up synagogues in Jerusalem's Jewish Quarter. 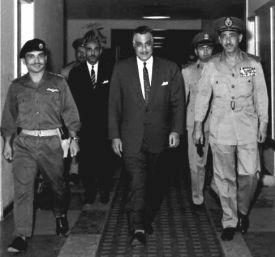 Jordan's King Hussein (left) with Egypt's President Nasser and Egyptian Army Chief of Staff Amer just before signing Egyptian-Jordanian-Iraqi defense pact. In his memoir, My War With Israel, Jordan's King Hussein acknowledges that Jordan attacled Israel despite the Israeli prime minister's pleas that Jordan stay out of the fighting. 13 Legal dictionary definition of "estoppel"
Jane Corbin: "...I’m in the middle of a battlefield. The weapons are bulldozers and riot police. The Israeli authorities are demolishing Palestinian homes..."
Jane Corbin: "...there’s another 40 [demolitions] to go before the end of the year. That’s because the municipal government has a budget that it has to use up for demolitions." Jane Corbin: "Jawad Siyam is a local Palestinian activist, documenting what Israel is doing..."
The claims, however, are simply false. 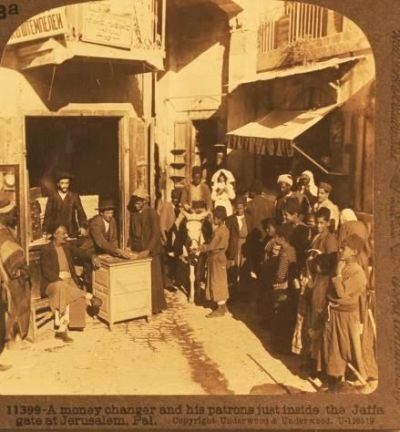 Far from being ethnically cleansed, the Arab population of Jerusalem has grown more rapidly under Israeli rule than at any other time during the 20th century. 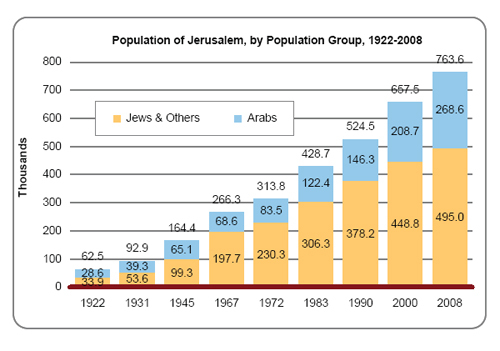 Since 1967, when Israel gained control of east Jerusalem, the increase in Jerusalem's Arab population outpaced the growth of the Jewish population. 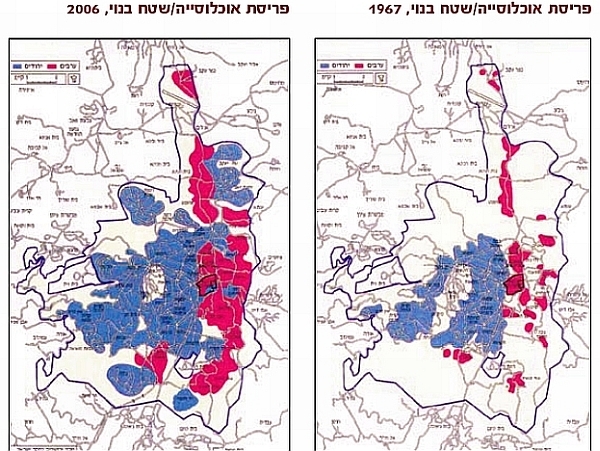 The map above shows the growth of Arab-settled areas (marked in pink) in Jerusalem between 1967, when the city was reunited under Israeli control, and 2007. Demolition by Jerusalem authorities of structures that are built illegally take place both in the Jewish and Arab sectors. 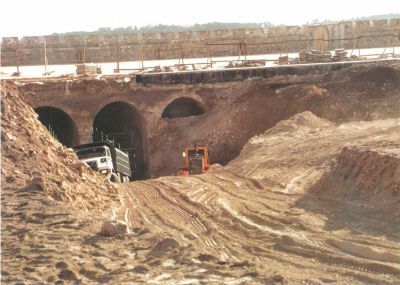 But demolitions in the Arab sector by Jerusalem authorities are frequently depicted as examples of Israel's attempt to push the Arabs out and take their place. In fact, these demolitions are determined by the number of illegally constructed buildings erected by residents without the appropriate permits. 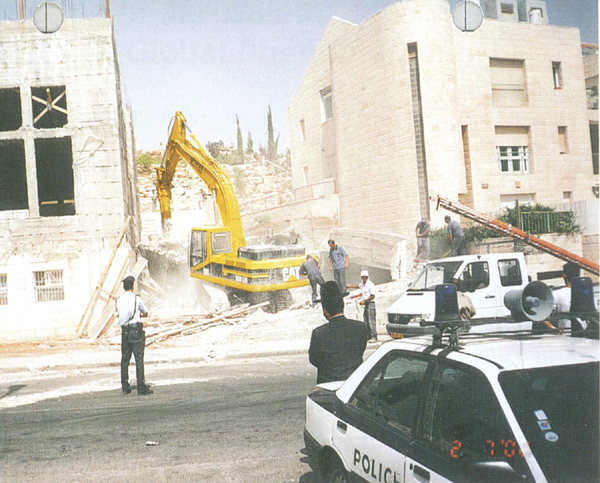 The illegal structures are demolished because they threaten delivery of public services, provision of green spaces, and preservation of archeological, architectural and historical heritage.5 Jerusalem municipal authorities consider these demolitions no less justified than demolitions by governments all over the world of structures that violate zoning laws or housing codes, do not meet planning standards, or stand in the way of urban renewal. The Jerusalem municipality cracks down on illegally built structures, regardless of whether they are built by Jews or Arabs. This claim is similarly promoted in the media and by ICAHD. Jane Corbin: "Last year, only 133 permits were granted to Palestinians in the whole of east Jerusalem. Nearly 10 times more were given to Israelis in west Jerusalem. But this claim, too, misrepresents the truth. 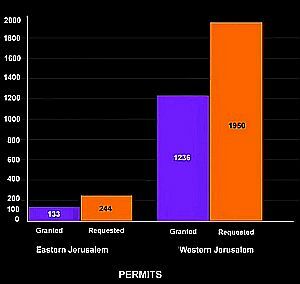 Jerusalem's Arab community receives building permits for more square meters of residential construction than does the demographically similar [in terms of population and family size] Jewish ultra-Orthodox community. The percentage of requests for building permits granted is roughly equivalent in both sectors. That is what activists who reject the notion of Jewish ties to Jerusalem and the biblical land of Israel argue. They are assisted by gullible or biased news reporters who dutifully follow suit. 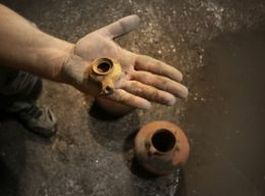 Archeological excavations in the City of David in the Silwan neighborhood, in particular, have also become a battleground between mainstream, traditional archeologists and biblical minimalists. 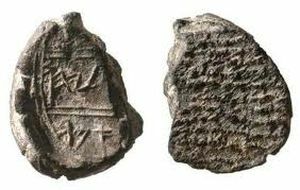 The traditionalists believe that Jews are rooted in biblical Israel while the minimalists, known as the Copenhagen school, reject the use of the Bible as evidence for ancient Israel history and consider the concept of a biblical Israel purely fictional. 6,7,8,9 Unsurprisingly, minimalist concepts are wholeheartedly embraced by those who seek to delegitimize the Jewish state. 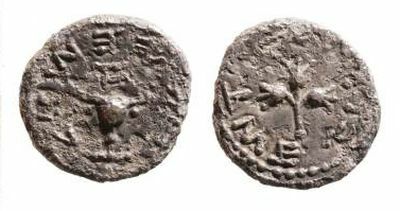 Efforts to delegitimize Israel's claim to Jerusalem were, in the past, limited to Arab and Muslim leaders (with assistance from a fringe cast of Israeli and Jewish malcontents), but some journalists have started to assist them by selectively denigrating those archeological excavations that demonstrate a Jewish history in Jerusalem. 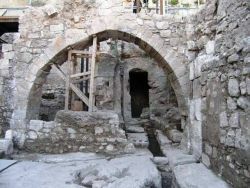 While promoting the notion that Jewish rights and connection to the area are dubious and a threat to peace, they present Muslim rights and connection to the Holy Basin as a given. 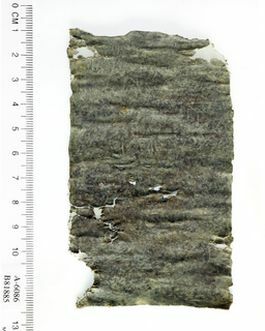 They suggest that it is somehow sinister to study and publicize any archeological find that demonstrates an Israelite presence in Jerusalem, contending that it is an affront to Palestinians to strengthen Israeli knowledge about and connection to Jewish holy sites. 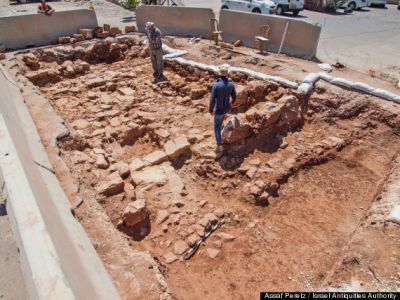 Their bottom line message is that archaeological studies that fully document the history of the area be avoided, and/or that findings supporting a Jewish presence in the area not be publicized. 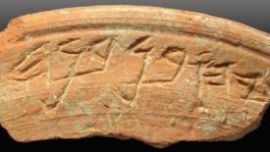 Some of the Recent Archaeological Finds in City of David – "Jewish" and "Non-Jewish"
Indeed, it is ironic that those who campaign against excavations in the City of David and elsewhere in Jerusalem claiming that they "politicize" the field of archeology base their opposition on their own partisan politics regarding the Palestinian-Israeli conflict. For more, read CAMERA's "The Battle Over Jerusalem and the Temple Mount: Rewriting History, Erasing the Jewish Connection to Holy Sites and Creating a Fictitious Arab History"
This is the allegation that opponents of the project put forth, at times with the help of journalists. Leslie Stahl: "The] feeling of Jewish encroachment has been heightened by the Mayor of Jerusalem, Nir Barkat.."
"He wants to create a Bible-themed garden and turn it into a tourist park adjacent to the City of David. But as with the dig, the local Arabs see this as another attempt to gobble up their side of Jerusalem. 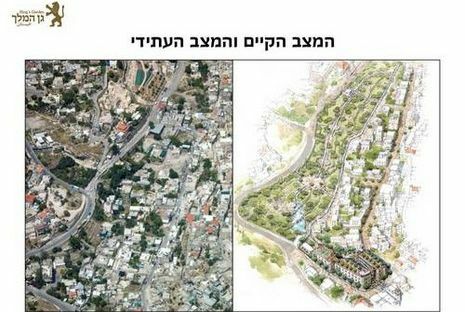 Building the Mayor`s park requires demolishing twenty-two Arab homes in Silwan..."
[To Jerusalem Mayor Nir Barkat]:" If you began to demolish these houses, it would be explosive, wouldn`t it?" "...I’ve heard you wanted to evict people. Whe-- where are-- where are those houses?" "...if you make a park than those houses can`t be there anymore." "... so you will evict. You will evict..."
But the plan does not displace Arabs from east Jerusalem – or even from Silwan. It is meant to redress the problems created by Arab residents who chose to build their homes, illegally, on conservation land. 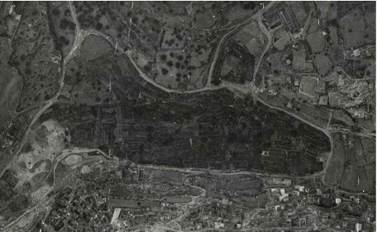 2007Aerial Views of King's Garden show that area was green until recently when Arabs illegally built in green area. The plan seems to be at a standstill at this point, but it is nevertheless instructive to understand what motivates the controversy over the project. This seems to be ultimately a question of whether Israel should exercise any authority in east Jerusalem and whether Jews should be allowed to live, build in or maintain the area for both Arabs or Jews. It is not about chasing Arabs from east Jerusalem. While this plan may create greater Jewish contiguity betweem the green and archeologically-rich areas of Silwan, allegations of displacing Arabs from eastern Jerusalem are simply incorrect.